Description: SoHo Rug Cleaning is a business categorized under home cleaning and maintenance equipment rental services, which is part of the larger category equipment rental and leasing. 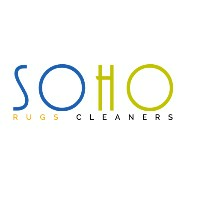 SoHo Rug Cleaning is located at the address 95 Greene Street 401 in New York, New York 10012. The Carpet Cleaning NYC is Reshef Harpaz who can be contacted at (718)509-6934.
Review: SoHo Rug Cleaning is a popular carpet cleaning NYC company which is working since 2004, to complete your all cleaning requirements. We help to keep a healthy environment for the public health by using organic cleaning products. We only use organic cleaning products to clean your each and every home decor items so that surrounding could not be polluted. That’s why, we allocate best quality rug and upholstery cleaning services, at affordable prices. So if you are looking to hire carpet cleaning NYC services, then contact us immediately. Location & access map for "SoHo Rug Cleaning"